It is with sadness we announce the passing of Dalton Mordy of the Queensline Rd. 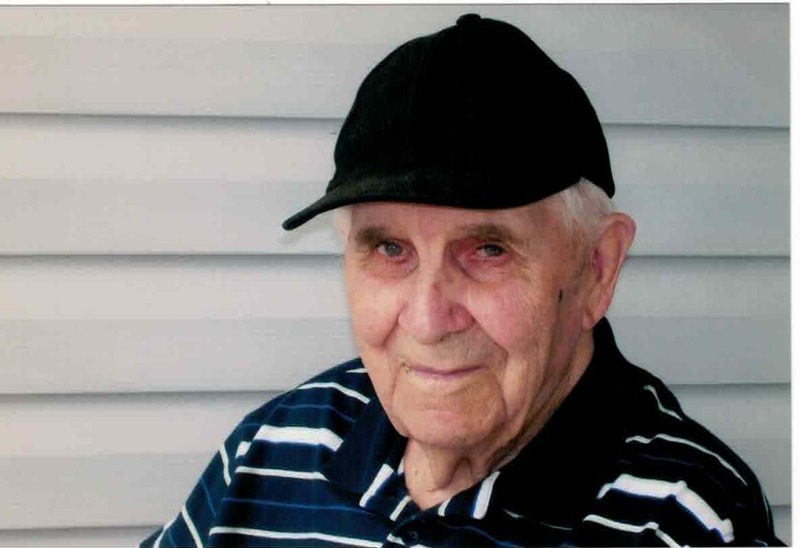 Foresters Falls, who passed away peacefully in Caressant Care Nursing Home Cobden, on Tuesday June 5, 2018 in his 96th year. Dalton Mordy beloved husband of the late Margaret Mordy nee Bowes. Dear father of Darlene (Terry Seigel), Barry (Vicky) Mordy, Debbie (Jim Wood). Also survived by 6 grandchildren Kerri (Neil), Natasha (Don), Kyle, Tracey (Joe), Melissa, Jessica and 8 great-grandchildren Madison, Sydney, Cameron, Delaney, Aidan, Wyatt, Alexander and Zachary. Friends may call at the Fraser – Morris and Heubner Funeral Home Cobden, Wednesday June 13, 2018 from 2 – 4 and 7 – 9pm. and Thursday from 9:30 until 11am. When the service will be held in the chapel at 11am. Interment Cobden Union Cemetery. As expressions of sympathy donations to Caressant Care Activity Fund would be appreciated.